The Rennie Suite offers a Private Members Bar and Half-Time Hospitality to enhance your home fixture matchday experience. 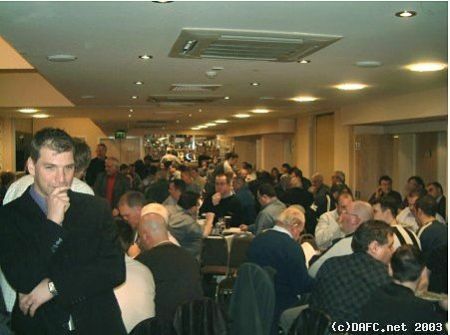 Start your day with DAFC from 12.00pm onwards when your cash bar opens. Relax in your private lounge and watch sports on TV. Official team sheets are distributed prior to the match kick-off, giving you time to take advantage of our in-house betting service. All post-match drinks ordered at half time carry a 25% discount for all Rennie Suite Members! Your exclusive seat in the stand is reserved, and you return to your suite at half-time for a new, upgraded menu of savouries and cakes with tea or coffee. At the end of the match the cash bar will re-open giving you time to discuss today’s action with some of the players. You can even sponsor a strip! 	£30 discount for Rennie members only on any matchday hospitality places taken in Kingdom Suite, Pitchside Boxes, Matchball, or Match Sponsorships. An ideal opportunity for family or corporate clients, the Centenary Suite offers an exclusive private members lounge with its own bar and personal hostess service. 	All post-match drinks ordered at half time carry a 25% discount for all Centenary Suite Members! Our premier hospitality suite; ideal for corporate entertaining or very special occasions! 	Full complimentary bar pre and post match until 5.30pm, or 45 minutes after full time. 	Return to Kingdom Suite for Hot Soup or Sorbet – weather dependant - and complimentary bar. Why not join us in The Kingdom Suite all season for only £2250! SPL and Home Cup Games included! 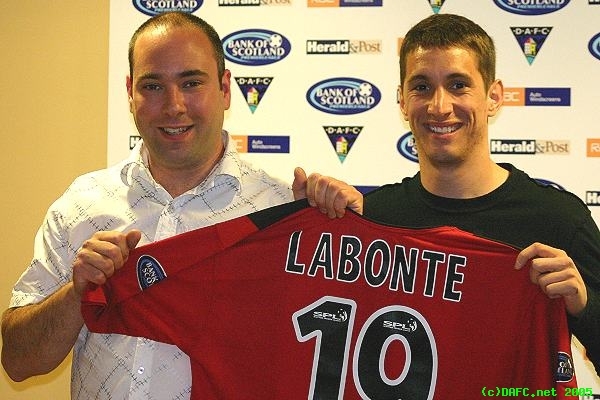 NEW FOR SEASON 2005/06, CLUB 1885! We are refurbishing two of our exclusive pitchside boxes for new Club 1885 members! With all home match days catered for with personal hostess service and season long pitchside viewing – very exclusive comfort and style! The perfect way to experience the pre-match atmosphere and enjoy our great value match day hospitality. Your day with DAFC begins at 12pm with a 50% discount off all drinks from a cash bar between 12pm and 1pm. You will then have the choice of a succulent roast or a delicious hot dish and delectable sweets, along with half time savouries and tea or coffee. 	Cash bar opens from 12pm Saturdays or 5pm midweek, 50% discount from bar between 12pm and 1pm. Why not join us in The Jock Stein Suite all season for only £925! Please contact the sales team at DAFC if you are interested in any of the above packages. Matchball sponsors, home match sponsorship and pitchside box sponsorship packages are also available from the club.